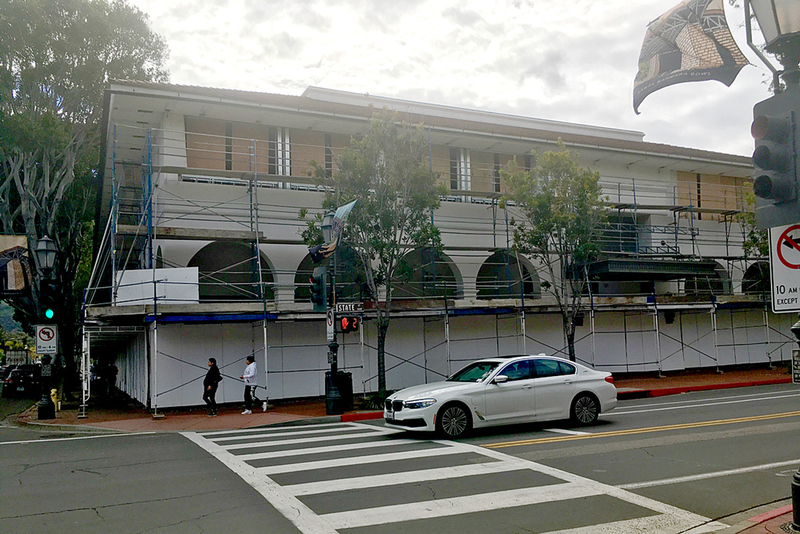 The once-prominent Saks Fifth Avenue building on State Street in downtown Santa Barbara is getting a facelift in anticipation of its new tenant — likely Amazon — set to move in later this year. Construction crews recently set up scaffolding around the building as they prepare to widen the windows to create more sunlight for the second floor. The bottom level will include some yet-to-be-disclosed retail component. The building has also been gutted — gone are the escalator and other interior features. "They are getting the building ready to deliver to the tenant," said Austin Herlihy, executive vice president at Radius Commercial Real Estate & Investments. "The tenant will take possession and then make its tenant improvements." In what is the worst-kept secret in town, sources have told Noozhawk that tech giant Amazon has leased the building for software engineers, along with a retail component on the bottom floor. A strong retail presence for Amazon would rattle the retail landscape downtown. The arrival of the company itself would add a layer of prestige to a city that has struggled to keep its downtown vibrant and relevant, amid a slow but sure exodus of large retailers and independently owned restaurants. Sources have estimated that Amazon will pay more than $2 million in annual rent for the building, the most of any tenant in Santa Barbara history. The tenant is expected to take over the building in May, with employees likely to occupy the site no later than October. Another business giant, Target, is set to open in Santa Barbara, at 3891 State St., on April 3. The small-scale store will feature traditional Target items, but shoppers are encouraged to order products online and then pick them up at the store.